In keeping with Iran's strategy to deal with world concerns over its nuclear program, Iranian foreign minister Manouchehr Mottaki declared that Iran is ready to hold talks with six major powers over its nuclear program "in late October or early November." Those six powers are the five permanent members of the United Nations Security Council (United States, United Kingdom, France, Russia and China) plus Germany, often referred to as the P5+1. It is important to remember that Russia and especially China have deep and longstanding economic ties to the regime in Tehran. The latest round of sanctions imposed by the United Nations was watered down to gain Chinese and Russian acquiescence. Surprisingly, Russia is somewhat abiding by them, although China is basically ignoring them. There were so many back room deals between the United States and the two nations, one has to suspect that the United States has agreed to turn a blind eye to Chinese violations. (See my earlier piece, Iran sanctions and the backroom deals.... On a positive note, however, the Russians did cancel the sale of the S-300 air defense system to Iran. The Iranian foreign minister's announcement is typical. The Iranians constantly offer to hold talks over their nuclear program. The P5+1 constantly agree, and a date for talks is set. The talks constantly fail, followed by the Iranians agreeing to continue talks about having more talks. All the while they are talking or agreeing to talk about talking, centrifuges at who knows how many facilities continue to enrich uranium, and research and development continues on longer range missiles. This latest Iranian "offer" carries conditions. Iranian president Mahmoud Ahmadinejad wants more and varied countries (Iran-speak for friendly to them) involved, and these countries must declare whether they seek friendship or hostility with Iran (yes, nonsensical), and they must clarify a position on Israeli nuclear capabilities. The reaction from the United States to the latest Iranian offer to talk? State Department spokesman P.J. 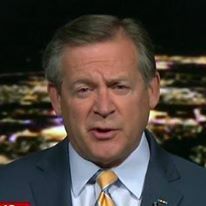 Crowley says, "If Iran is ready to hold talks, all they need to do is pick up the phone and set a date." Both the Bush and Obama administrations have failed to make any impact on the Iranian nuclear program. For years, anyone with a modicum of expertise on, experience in, the Middle East has realized that the Iranians are developing nuclear weapons, despite the ridiculous National Intelligence Estimate issued in 2007 that the Iranians had halted their weapons program. The Iranians are resolute in their efforts and have outmaneuvered both this and the previous administration at every turn. Promises of talk seems to mollify the diplomats. The Obama Administration continues to repeatedly fall into the Iranian trap. Every time the Iranians need more time to work on their program, they offer talks to the west. They are doing it again, and if Crowley is to be believed, the Administration is falling for it again. How many times is this President and his national security team going to fail to take meaningful action on Iran's nuclear ambitions? 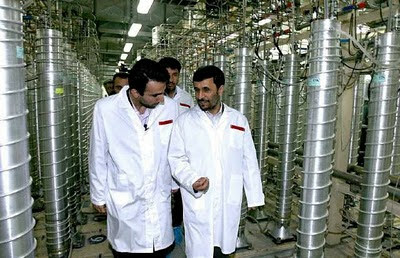 Do we have to wait until Ahmadinejad declares "fission accomplished?" Naiveté is alive and well, and resident at 1600 Pennsylvania Avenue.